BGKLLEN | At Risk Forum 2018 – Presentations now available. At Risk Forum 2018 – Presentations now available. 18 Sep At Risk Forum 2018 – Presentations now available. 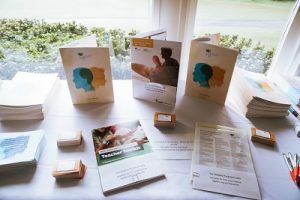 The BGKLLEN, along with our partners Bayside City Council, Glen Eira City Council, Kingston City Council and Holmesglen Vocational College again held the increasingly popular At Risk Forum recently. We were amazed that the Forum was fully booked out within 4 days of registration opening! It is always so exciting to see everyone engaging with each other, starting at registration, continuing over morning tea and again at lunchtime. The room ‘buzzes’ with conversation when those breaks are taken! Even better than last year if that is possible!!! Topics and presenters were excellent!! It is so rewarding for everyone involved in the At Risk Forum to see attendees engaged, absorbing information and discussing strategies which can help them in their day to day work with vulnerable young people. The BGKLLEN would like to thank our partners Bayside City Council, Glen Eira City Council, Kingston City Council and Holmesglen Vocational College and to everyone who was involved with or attended the Forum for your contribution to making the Forum such a successful day. Again, this year the BGKLLEN consulted with our partners and the local community to ensure that the topics chosen for the keynote and presentations were based on issues affecting our vulnerable young people and therefore the most relevant for our audience. What we had to do then was find the right people to undertake the presentations and we were thrilled to find excellent presenters in each of the areas. The result was five individualised presentations delivered by five informative and engaging presenters.